Please select the appropriate amount of insurance below based on the value of products in your shopping cart. Purchase of this insurance Guarantees Delivery of your order to a person and/or it being placed in a secure location of your choosing. 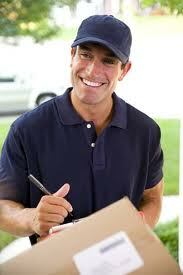 This requires either having someone at the ship to address at the time of delivery or leaving a Signed Signature Release Card posted on your door for the delivery driver with instructions as to where they can securely leave the package. Usually Two (2) delivery attempts will be made by either FedEx or the US Postal Service. And normally they will leave an unsigned Signature Release Card on their first delivery attempt if no one is at the ship to address. But remember your order will not be left at the ship to address without a signature. And after two delivery attempts it will be returned to us. If you decide not to purchase this insurance please be advised that we cannot guarantee that your package will be signed for and delivered to a responsible person. With it we can.